In one of the incidents, two pedestrians were injured when a car crashed into them. Four people have been seriously injured in two separate road accidents in Randfontein, west of Johannesburg, Gauteng paramedics said on Saturday. 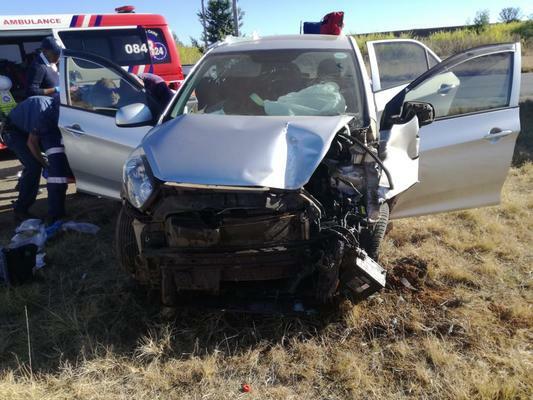 Two men, both believed to be 18 to 20 years old, were in a critical condition after two cars collided on the R41 in Randfontein on Saturday morning, ER24 spokesperson Annine Siddall said. ER24 paramedics arrived at the scene and found both the driver and the passenger of one of the cars still inside the car. ER24 treated one of the men and transported him to a nearby hospital for further medical care. Provincial emergency services treated and transported the other man to hospital. The cause of the crash was not yet known, Siddall said. Later on Saturday, at about 3.30pm, a pedestrian was critically injured and another less seriously when a car crashed into them in Mohlakeng in Randfontein. Details surrounding the accident were not yet known, but local authorities were on the scene for further investigations, Siddall said.